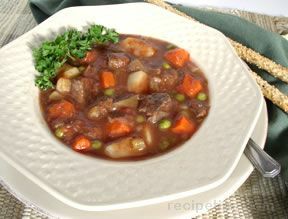 Cut stew meat into bite-sized pieces. Fill a large pot half full of water, about 10 cups. 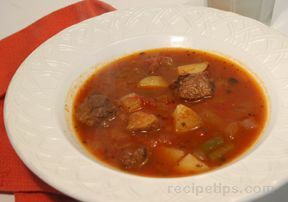 Add soup bone, stew meat, bay leaves, and onion. Add carrots, celery, soup mix, pasta, and rice. 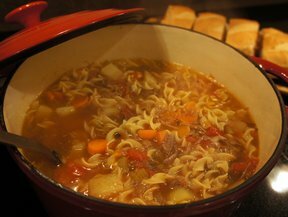 Add potatoes, salt, tomatoes, bouillon, and Italian seasoning. Add green beans; salt and pepper to taste.